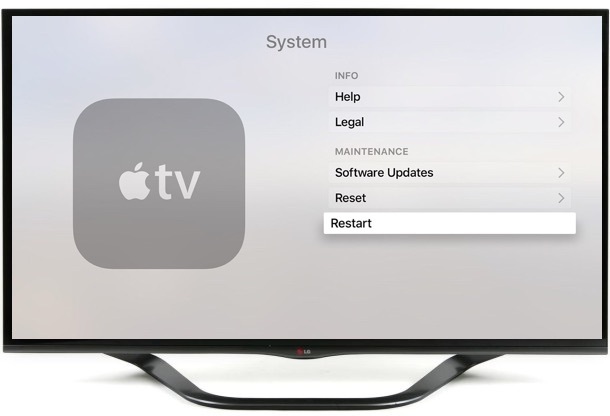 The new Apple TV is generally really quite stable and should rarely need to restart, but in the rare occasion you find something not working properly, you can reboot Apple TV through the system settings on the device itself. Rebooting Apple TV is fast and should only take a moment to complete, so if you find yourself needing to do so there is little downtime. Keep in mind Apple TV will reboot itself to update the devices software, so if you have a pending software update perhaps you should just update tvOS on the Apple TV. This is really aimed at situations where something is either misbehaving, an app is crashing or not responding as expected, or some other Apple TV behavior is unusual enough to warranty a manual reboot of the device for troubleshooting purposes. The Apple TV should reboot immediately and boot back up again quite fast. 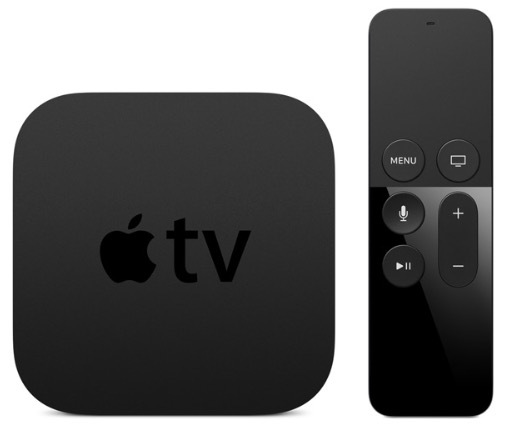 What if Apple TV won’t restart through the above methods? You have two choices, the controller based force restart, or the old fashioned way of going to the wall outlet. With the new Siri Apple TV remote, holding down the Menu button and Home buttons concurrently until you see the light flash will force the Apple TV to reboot at any time, without having to access settings. The force reboot is basically the same for the prior generation Apple TV controller as well, except the controller doesn’t have a light and instead the box itself blinks. The controller based approach is pretty similar to force restarting the other iOS devices like iPhone and iPad, just hold down the buttons until the thing reboots. I have been using my Apple TV third generation since 10/31/15. I have had one constant problem that is not resolved with resetting or restarting to factory settings. The screen constantly flickers. I see different colored stripes every so often. I reset or restore to factory settings and the screen iWork’s for about two hours and then the flickering begins again. I also tried rebooting and that works for a brief period. I have reviewed the apple forums and realize this has been an ongoing problem with Apple TV since about 2007. I have used different HDMI cables to plug into the the tv. About one month ago I went to the genius desk at Apple TV and my atv worked fine at the Apple Store. I was wondering if this is a common problem with streaming devices in general. I was considering purchasing the new atv 4 until I realized users are experiencing the same problem as me. I love everything apple and am shocked that this device causes flickering. It’s very annoying. 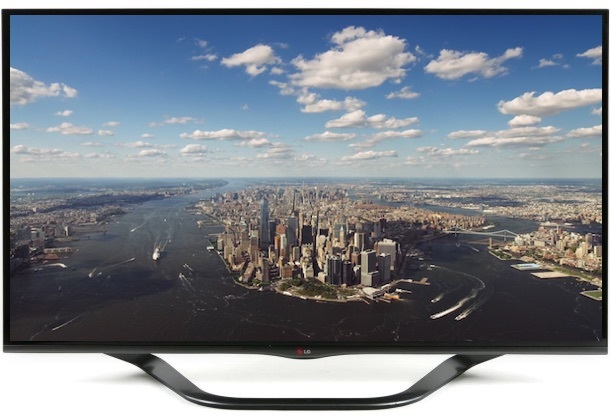 I read about users that have dumped cable for streaming;however, I think I’m stuck with cable. Does anyone have any suggestions? Sounds more like a tv or HDMI cable issue. Try resetting the box (hard reset to factory settings and perhaps restore it), diff HDMI cable, and even a diff TV. In the end, may be a faulty Apple TV unit with a bad chipset. I have 2 Apple TV’s personally, never had this issue. A friend deploys Apple TV’s in his corporate environment (at least 10 running 24/7), and he said no issues like that. I also have owned a Roku box and a few other rando streamers, also never had that issue. The issue is PEBKAC, Patricia or John, whoever you are. And your lying. I have the new Apple TV, which I am very pleased with, especially now BBC iPlayer app is available. However I seem to have a problem viewing shared iCloud photographs on the Apple TV. Have I missed a setting somewhere? I found that as a last resort to AppleTV 3rd generation problems… you go to iTunes on your mac and plug in your Apple TV and restore it and then start it up again..everything works fine for me. On my Apple TV Gen 4, I get all the live streaming channels like Discovery etc. and I don’t have any subscriptions to Netflix or Hulu or anything. It’s awesome. We have an apple tv gen 4 and the only issue so far is that certain apps that offer a live feed will get stuck there. For instance, its been two hours since we watched the Watch ABC live feed, and now anytime I go back into the app it tells me the show lineup is unavailable. Hitting menu doesnt return it to the ABC menu, just goes back out to the apps. The only thing we found was to delete the app and reinstall. My apple tv 4th generation has frozen and even if i unplug it. It remains with the same frozen screen. What am i going to do i do bot know?